Those ‘Tin Snails’ have a lot to answer for! 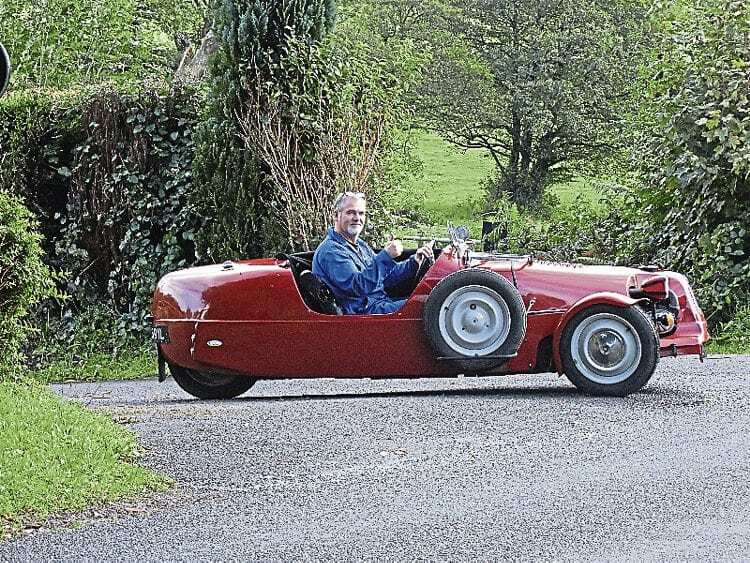 Two cylinders, two seats and three wheels adds up to a Lomax 223 – and Mick Payne starts off the new year by taking a close look at one of these unusual three-wheelers. Powered by an air-cooled flat-twin engine, Citroen’s quirky 2CV has always been a firm favourite among the many cars I have owned. I went through three over the course of 10 years, even driving one to the former Yugoslavia, running it in on the way. 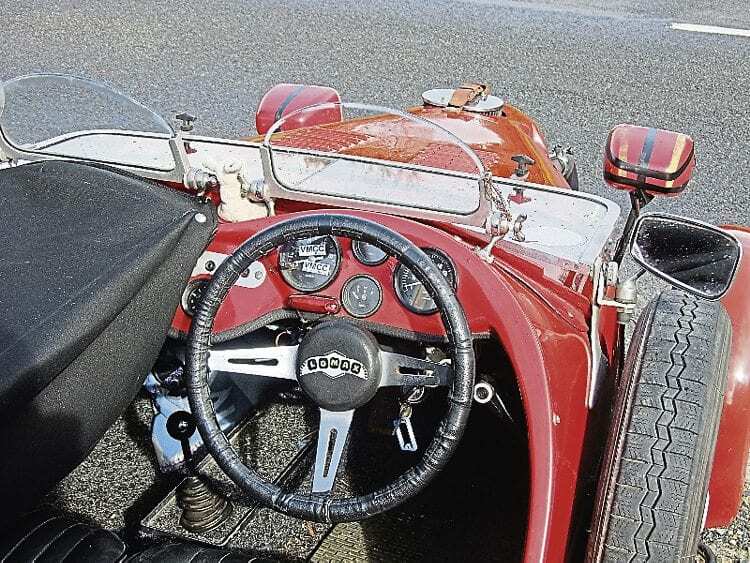 The Lomax 223 gets the thumbs-up, and the solid wheels give it a chunkier look than a Morgan. In its various guises, the engine found its way into several motorcycles and even went into limited production with the French MF650, although that was mated to a Visa engine mated to Moto Guzzi V50 parts. France was once full of the ‘Tin Snails’, and if the engine made a good power unit for motorcycles, then the whole running gear has been adopted by several specialist car builders. The Deuche has always been a popular car with motorcyclists in spite of the rust problems of the flimsy steel body. The view from behind the wheel. British company Lomax, though, has addressed this by using the chassis and other associated parts to build a vintage-style sports car, the clever thing being that they have redesigned the back end to have a single wheel, Morgan-style, and the donor vehicle has been around long enough for this to be eligible for VMCC events. Next Post:What happened to my Zundapp twin?